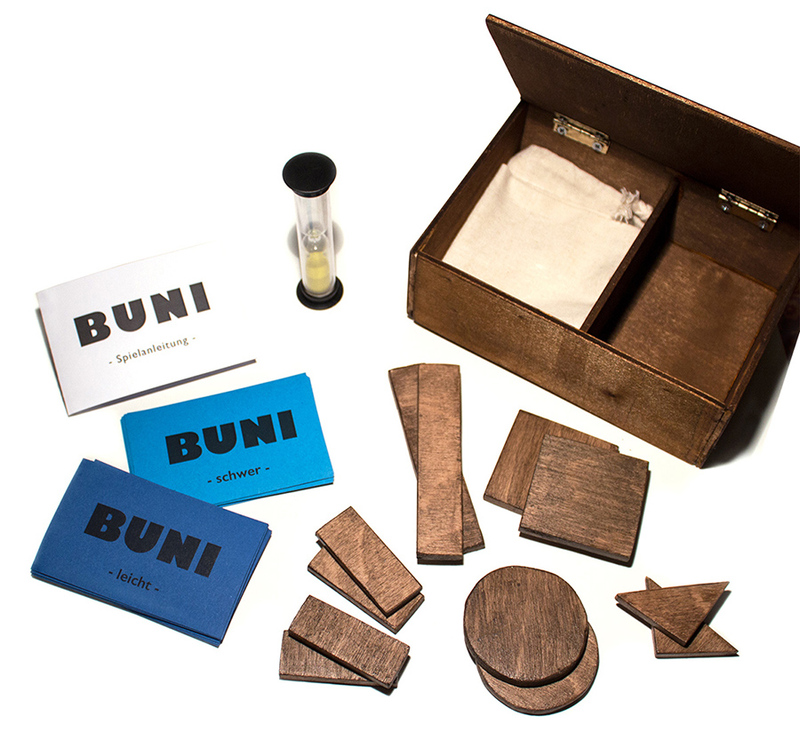 This game called "Buni" (kiswahili "buni" = (to) design, invent, construct) is a creative game that stimulates abstract thinking for both young and old. The players take turns using the simple geometrical shapes provided to depict a given word to their partner/team, and the team has a limited time-frame to guess as many words as possible. Once the time expires, it is the next player's turn. Three different ways to show the word "clock". 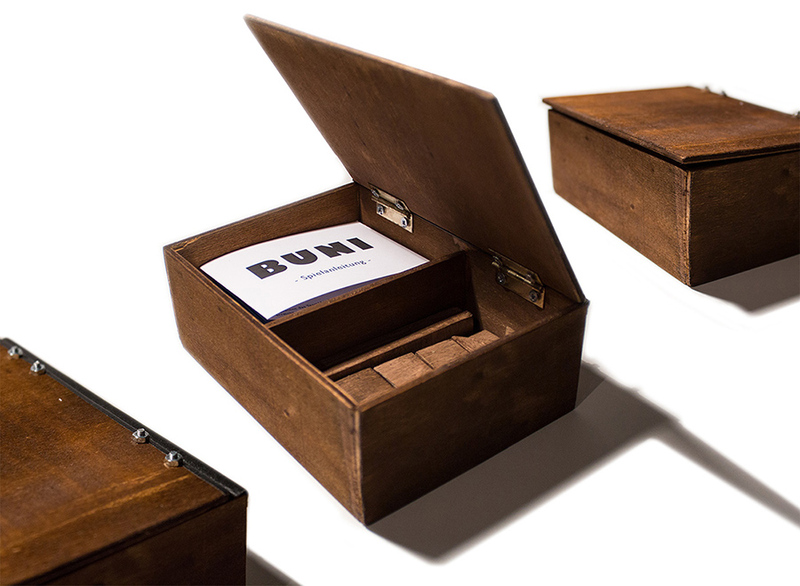 All the pieces, cards, instructions and hour glass fit neatly into a small wooden box. 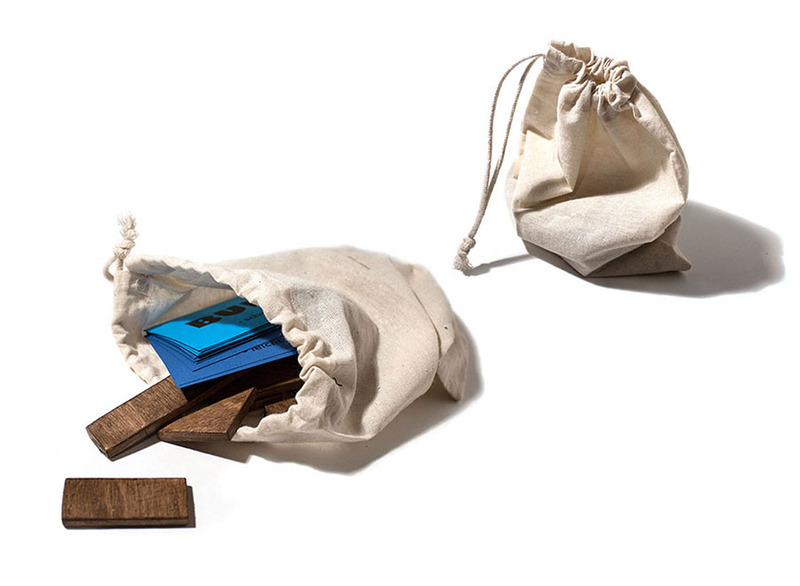 A small fabric bag is included so that the game can be taken on trips. Testing the game with children and students at our university, it was interesting to observe the diversity of individual creative expression, not only between children and adults, but also between the individuals themselves.